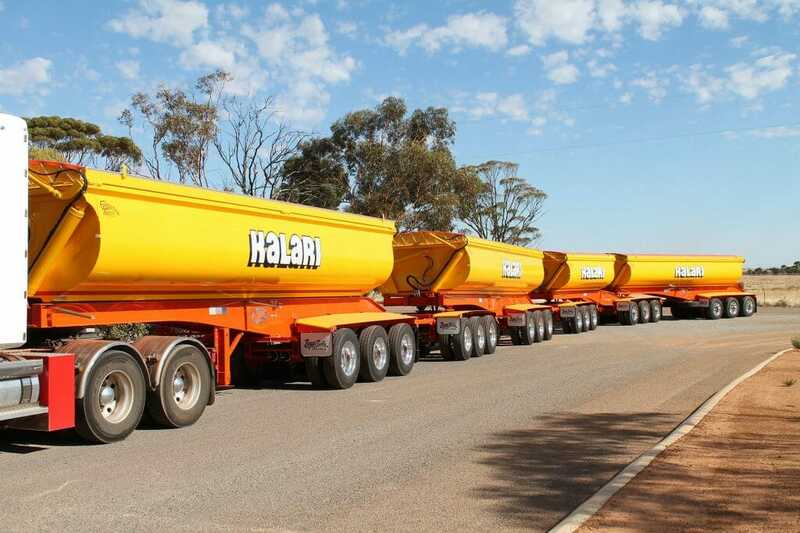 We are world-leading road train engineers, designing and manufacturing any configurations from B doubles through to the very latest in road train technology – the super-quad. To view road trains we have in stock, see our For Sale page. Or to discuss an engineering requirement, please use the contact form on this page. We are committed to engineering the latest in road train technology to improve efficiencies for our clients and reduce environmental and community impact. 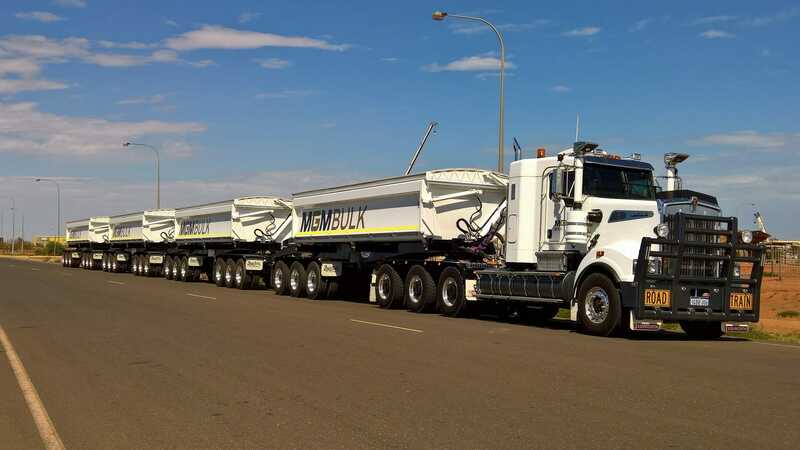 In 2013, we custom manufactured a new 60-metre ‘super-quad’ road train for the mining industry, utilising the Performance Based Standards framework. The new technology received an international top line patent. The super-quad not only increases payload and saves costs for transporters of bulk product, but reduces truck movements by up to 20%, thereby reducing impact on road infrastructure.